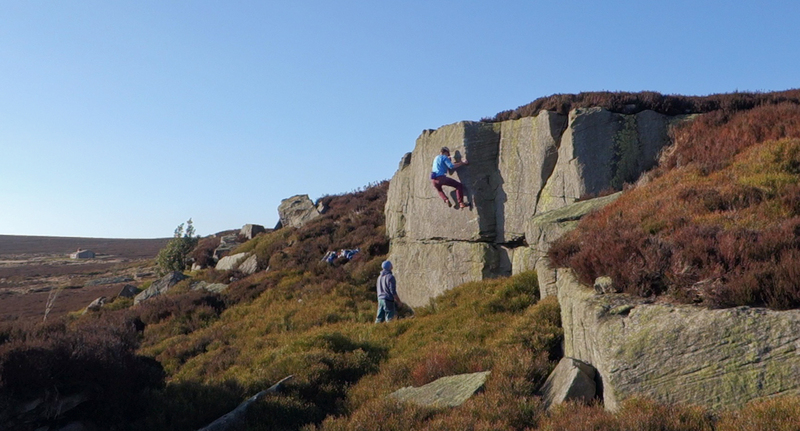 A fine, quite high wall of perfect grit that is very Slipstones like and faces south in a grand position overlooking the valley and moors up the valley past Brown Beck Crag. There is also a collection of good boulders. Landings are flat but a couple of mats are recommended as some problems are high. Check for shooting restrictions before a visit.